As Boeing’s 787 Dreamliner begins its second decade, the promises that this first composite airliner will fly farther, cheaper and with less fuel burn than previous generations have been clearly demonstrated. 630 aircraft are currently in service with 45 airlines on every continent, with Boeing citing 218 million passengers over 2.9 billion revenue miles during 6.5 million revenue flight hours. But beyond the numbers, the 787 has opened up numerous new routes since its introduction, adding weight to Boeing’s arguments about the Dreamliner shifting the hub-and-spoke model towards point-to-point service, although Australia’s position within Airbus A330 range of China has meant that much of the 787 effect here has been adding new nonstop hub flights rather than new destinations. A large part of Jetstar’s expanded post-A330 international network has developed since the introduction of the 787, while offerings like United’s new Sydney-Houston route, its nonstop LA-Melbourne flight, Qantas’s upcoming* Perth-London service, and Air India’s Australia operation, rely on the economics and performance of the Dreamliner. 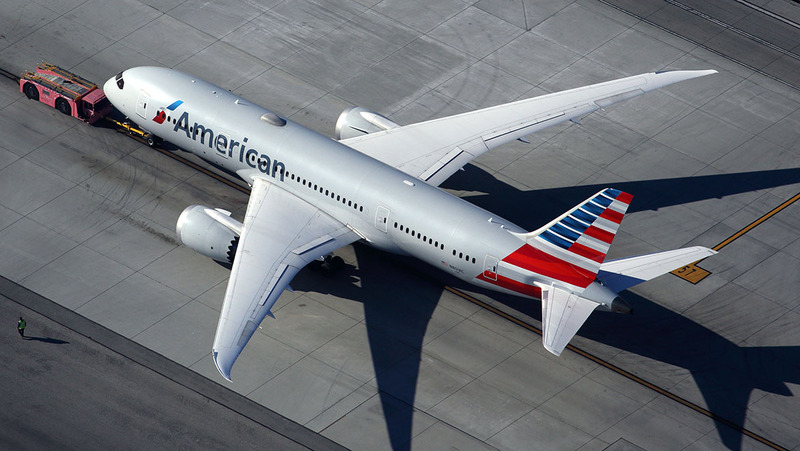 “The 787 has flown over 1,500 total routes, and has made possible over 170 new nonstop routes to connect the world like never before,” Boeing regional director of product marketing Tarun Hazari says. The aircraft also continues to enable changes for existing routes, creating major efficiency gains when replacing four-engined aircraft like the Airbus A340-300 (LATAM) and Boeing 747-400 (Qantas, United), or allowing airlines capacity flexibility compared with currently operating twinjets like the A330-200/300 or 777-200ER (Vietnam Airlines, Japan Airlines, Air New Zealand). 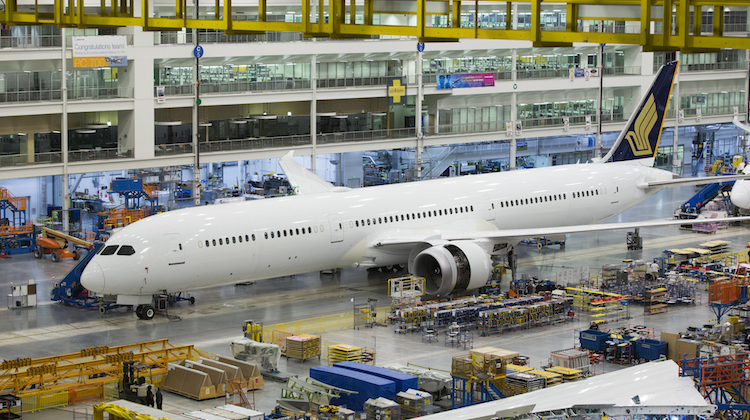 Boeing’s latest Dreamliner model, the 787-10, achieved its amended type certificate for the Rolls-Royce Trent 1000-powered version from the US Federal Aviation Administration earlier this year. “Our test programs spanned about 900 flight hours, and took us to a variety of locations including the US states of Texas, California and Colorado, to name a few, and Newfoundland in Canada. We also made two appearances at airshows in Paris and Dubai,” he says. In addition to Singapore Airlines, Air France, All Nippon Airways, British Airways, Emirates, Etihad, EVA Air, United Airlines, plus lessors GECAS and Air Lease Corporation, together with eight aircraft for unidentified customer(s), have ordered the jet. VIDEO – This Boeing Youtube clip highlights 787-10 performance flight testing. Designed for long-haul, but not ultra long-haul, flights, the -10’s example range doesn’t quite reach the US east coast from Sydney. “The 787-10 Dreamliner is a game changer to the market. It’s the newest and longest member of our family. As a stretch of the -9 airplane, it adds a lot more seats and cargo capacity, really setting a new benchmark for fuel efficiency and operating economics. In fact, it’s got the lowest CASM or cost per available seat mile in the industry,” Boeing’s Tarun Hazari argues. “When you combine it with all the passenger pleasing features of the 787 family, which everyone’s familiar with – the spacious cabin and windows, the large bins, the higher humidity, smooth ride technology – it truly is second to none. It really accentuates the family,” Hazari continues. The launch 787-8, 57m long, carries Boeing’s example case of 242 passengers in a two-class configuration over 7,355nm. 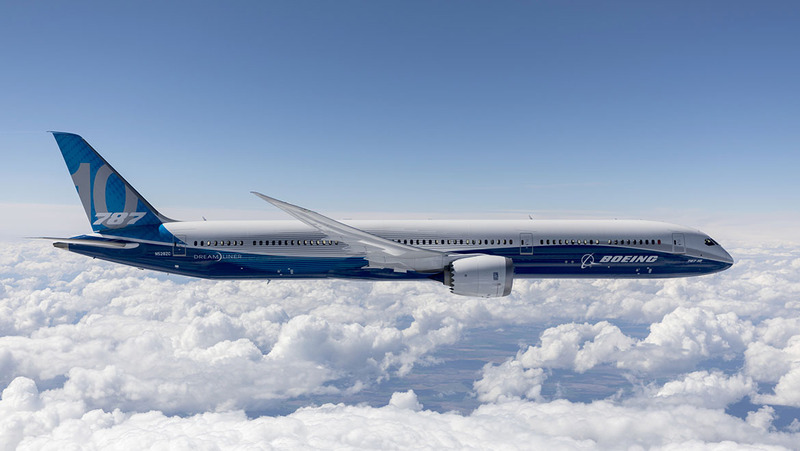 The mid-sized 787-9 measures 63m in length, accommodating an indicative 290 passengers with a range of 7,635nm. 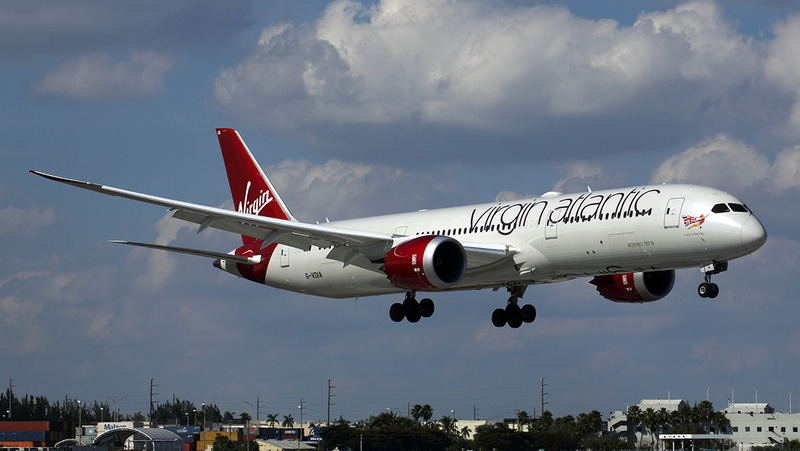 The newest aircraft, the 787-10, is stretched to 68m and Boeing uses a 330-passenger model to give a range of 6,430nm. Commonality between models is a concern for many operators, and Boeing has seen success here. “We heard from our customers quite clearly, that they loved the -9, and the closer we could make the -10 to both the -8 and the -9, the better off it would be,” Boeing’s Bob Whittington explains. Returning to the passenger and range numbers, for all airframers these are both linked and indirectly proportional – and also a little murky in the part they play in manufacturers’ performance promises. At its most simplest, the principle is that the fewer passengers on board, the greater the range. Jetstar’s 787-8, for example, carries 21 passengers in recliner business class seats and 314 in economy: 93 more than Boeing’s example. Jetstar cites a range of 5,500nm for this aircraft, 1,855nm less than Boeing’s standard data. Japan Airlines, meanwhile, carries only 161 passengers in its long-haul 787-8 configuration (where half the aircraft is fully flat Rockwell Collins Apex seats in business class, and only one third is economy, with even that the very spacious eight-abreast configuration), 81 fewer than Boeing and almost half of Jetstar’s capacity. That allows JAL to quote a range of 7,990nm for the aircraft, nearly 2,500nm more than Jetstar, almost the distance from Sydney or Melbourne to Denpasar in Bali. Weight has always been a crucial consideration for airliners, particularly long-haul jets. But these differences in range highlight the extent to which modern airlines make decisions about outfitting their aircraft, and indeed why Qantas needs a different aircraft for its Project Sunrise ultra long-haul nonstop ambitions. When Jetstar became the first airline in Australasia – and one of the first low-cost carriers in the world – to fly the 787 in 2013, the aircraft revolutionised the way that passengers fly long-haul. Nearly seven million passengers have flown on Jetstar’s 787s alone, travelling on routes to Indonesia, Thailand, Japan, China, and Honolulu in the United States. 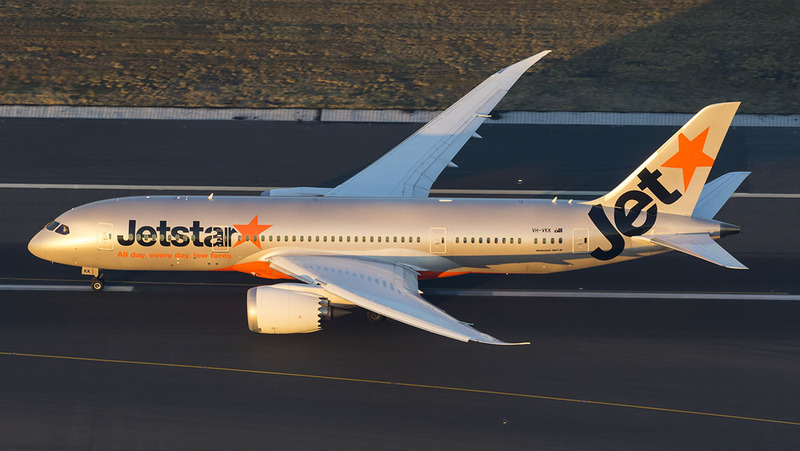 “The ideal distance for our 787 fleet operationally and economically is between 3,500 to 4,500nm”, Jetstar’s 787 team tells Australian Aviation via an airline spokesperson. On board the airline’s eleven 787-8 aircraft, three rows of large recliners in a 2-3-2 configuration make up the 21 Jetstar business class seats, with the 314 economy class seats in their 3-3-3 layout stretch from ahead of doors two to the very back of the cabin. 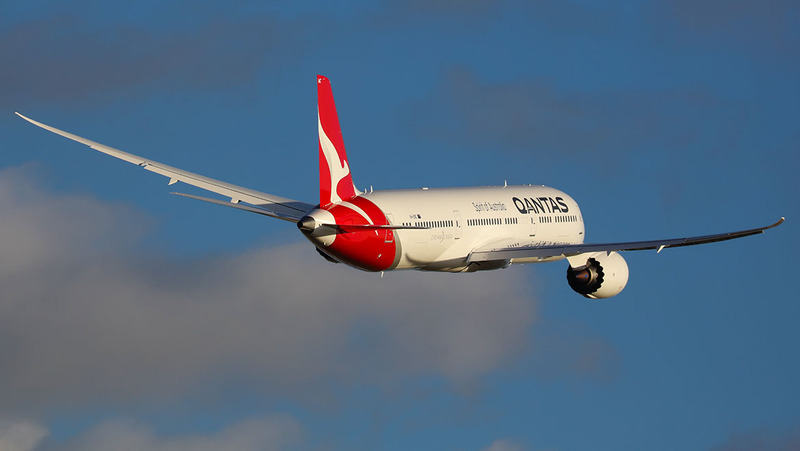 That operational knowledge is already being transferred within the Qantas Group -– one marked advantage of having a subsidiary airline operate a new aircraft before the parent carrier. “Jetstar has been able to share the experience with Qantas after four years operating eleven Boeing 787‑8s. Jetstar pilots have been training Qantas pilots, both in the simulator and on the line, and our engineers have been sharing their learnings with Qantas engineers on the maintenance requirements of the aircraft,” the airline explains. The big question for Jetstar’s Dreamliners is what’s next. Competitors like Scoot have already taken the larger 787-9 version that Qantas is also taking, although in February the Qantas Group allowed one 787-9 option to lapse, so immediate expansion for Jetstar’s long-haul services seems unlikely. That’s particularly true given the rise in inbound traffic from international carriers from growth destinations like China. Previous generations of mostly metallic airliners standardised on a cabin pressurisation of approximately 8,000ft. Much of the altitude-related malaise of flying, including jetlag, dehydration and lower oxygen levels, result from the combination of a higher cabin altitude and low moisture in the air. New carbon fibre aircraft, of which the 787 was the first, can be pressurised to around 6,000ft, and can handle a more humid atmosphere. That 2,000ft reduction might not sound much, and indeed when the Dreamliner entered into service, early passengers wondered whether the promised benefits of the lower cabin pressurisation would come true. For the most part, they have. Quite apart from manufacturer-produced empirical data, the 787 and Airbus’s A350 are in wide enough circulation that passengers can compare like for like flights and have felt it for themselves. VIDEO – Inside Jetstar’s Boeing 787-8. The 787’s larger windows, too, have proven largely popular, although the electronic dimming of the windows does not always meet with passenger acclaim, particularly since flight attendants can override individual controls and plunge the cabin into total darkness. Despite these improvements, however, the 787 has not brought an overall upgrade in passenger experience for most passengers – quite the opposite. When Boeing originally advertised the Dreamliner, it was with some of the widest economy class seats in the industry in an eight-abreast configuration. Only ANA and Japan Airlines took delivery of this layout, and only JAL’s long-haul 787s remain with seats arranged 2-4-2. This densification is not unusual in the history of commercial aviation. The 747 was originally delivered to many airlines in a nine-abreast layout before being universally retrofitted to 3-4-3, as was the narrower 777. The problem is that passengers are simply not the size they were in the 777’s 1990s, let alone the 747’s 1960s. While regional differences remain, better nutrition and other factors mean that people taking their first long-haul flight on a 787 are taller and broader than people whose first flight was on a 747. Airlines would, of course, argue that with the advent of premium economy passengers who want more space have an option to buy it, and the Dreamliner’s standard 2-3-2 premium economy configuration is indeed very comfortable. From the traveller perspective, however, premium economy is between 1.5 and 3 times the price of economy on most routes, a multiplier that is not feasible for all or even many passengers — or airlines would install more of these seats. Indeed, numerous airlines and airframers readily admit that premium economy is the most profitable real estate on the aircraft. Business class too, is often tricky on the Dreamliner. Early buyers of the delayed aircraft ended up locked into older seats that have not aged well, with angled lie-flat seats and fully flat beds that lack the now almost mandatory direct aisle access ripe for replacement. The fact that the 787’s regular maintenance intervals are further apart is a benefit in many ways, althought that does provide fewer cabin upgrade windows. In business class, the yields from which often make the difference between the success and failure of a route, the cross-section of the Dreamliner is notably narrower than the slightly larger A350 and the much larger 777. The narrower cabin creates design, space and safety certification challenges for airlines trying to create direct aisle access products, particularly those in the popular herringbone configuration. The passenger experience world has moved on from where it was when the size of the 787 was selected, and like the 777 before it — where the half-a-generation derivative 777X will sculpt out extra inches from the sidewalls — the time seems ripe for cabin upgrades in particular. Where next for the 787? After more than a decade since rollout and, next year, a decade since its first flight, Boeing has yet to reveal any kind of technology roadmap for the 787, whether for incremental cabin interior updates or incorporating improvements in systems and technologies that have been developed since the Dreamliner’s design was finalised a decade and a half ago. That is in contrast to the approximate amount of time between, for example, the Boeing 777’s 1995 entry into service for the first generation (-200/-200ER/300), second generation (-200LR, -300ER) nine years later in 2004, and third generation (-8/9) planned for 2019. On the subject of the 777, Boeing’s Tarun Hazari explains, “We’ve continuously improved and made those more valuable to our airline based on customer needs. With the 787, we see the same thing happening. We will continue to evolve. We will continue to make “it better and even more competitive”. After major fleet groundings by operators of Boeing 787-9 Dreamliners with “Package C” Rolls-Royce Trent 1000 engines, airlines are anxiously awaiting deliveries of replacements — whether of fixed older Package C powerplants or the newer Trent 1000 TEN that succeeded it. Fatigue cracking of turbine blades caused by corrosion has caused significant early blade wear and concern among operators. 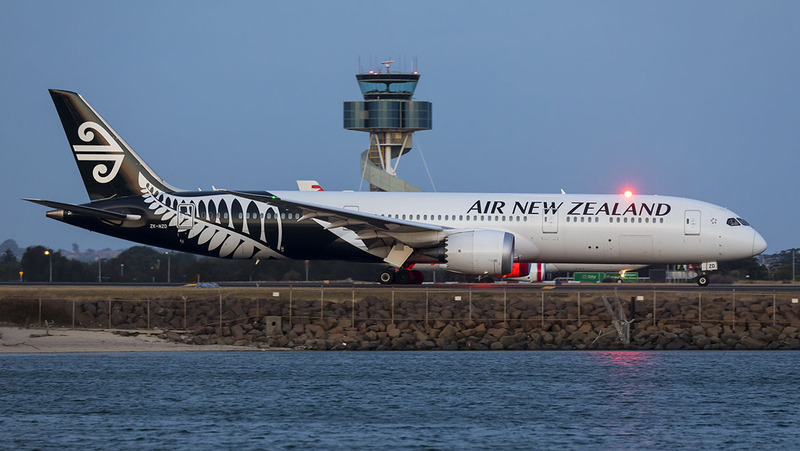 Air New Zealand, All Nippon Airways and Virgin Atlantic have been among the worst affected. “We identified an issue with sulphidation on Intermediate Pressure Turbine (IPT) Blades back in 2016,” a spokesperson for Rolls-Royce tells Australian Aviation. In August, Rolls-Royce told investors that the wear issues affected some 400‑500 of the Trent 1000 engines. Aviation safety authorities continue to investigate and have issued airworthiness directives concerning these engines. Boeing, Whittington says, is not shying away from the issue. “I would take issue with the idea that this is not a Boeing problem. They’re Boeing customers, they’re Boeing airplanes. And we’re deeply involved with Rolls-Royce every single day to try to help each of the operators get the airplanes back flying as soon as possible. “We’re engaged all the time. I do expect the TEN engine to be their primary source, the driver, in the fleet. But we’re working really hard to get the airlines, like Air New Zealand, back in the air. We understand how difficult it is, and we’re linked very closely with Rolls,” says Whittington. “It’s not uncommon for long‑term programs to experience these types of issues and we are well placed to manage them,” Rolls-Royce’s spokesperson says. *This feature article first appeared in the March 2018 issue of Australian Aviation. 2. Despite these improvements, however, the 787 has not brought an overall upgrade in passenger experience for most passengers – quite the opposite. 3. Indeed, the 787 in nine-abreast configuration gives the least amount of personal space of any widebody airliner in widespread service. Having flown Jetstar 787 Melbourne to Bangkok a number of years ago all my subsequent trips to Bangkok have been with Thai Airways – that is how much I loved the Jetstar 787 experience. John, what were the specific things you don’t like about the 787? And why don’t hyoid like them? What planes are you flying on with those other airlines you mention? Is it the aircraft, or the particular airlines configuration that you don’t like? It seems a bit ridiculous to be saying you don’t like the aircraft. Flown Jetstar & ANA 787’s many times, love the products. Even when compared to Cathay & SIA A350’s I’d pick the 787 any day. Fresher Air, Plenty of legroom and width is fine (I’m just under 6″). Jetstar should definitely look at getting some -9 or 10’s! I remain amazed that there’s no aircraft, that can fly Sydney to London, the level of modification with the current technology sets, would be minimal, 10 years after the introduction, of carbon fibre fuselage aircraft and aluminium lithium alloy fuselage aircraft. Hydrogen fuel is ever more an ideal fuel, for lighter aircraft, as it’s light, efficient, bulkier, but that is less a problem, with lighter structures per volume, allowing smaller wing surface area, per passenger, thus less drag, in somewhat more, like a lifting body shape. More than 600 787’s amazing, how time flies, I can still remember the 767, being the first carbon fibre winged airliner, way back in 1981. It’s not that aircraft can’t do it, it’s doing it and being able to carry a payload that will bring a profit. Engine technology is almost at a point where Aus East Coast to LHR and JFK are very possible in the next 5 years and airframe not far behind, if not already there. The A350-900ULR will have its figures validated soon during flight testing to see exactly what it can do, and no doubt the engine manufacturers will find minor performance tweaks enhance fuel burn. Hydrogen in liquid form requires too much additional weight to for storage at the expense of cargo and pax. As a gas, it would be too volatile and would require cylinders capable of storing large quantities at high pressure as the aircraft climbs to cruise altitude. Aviation will be the hardest industry to wean from fossil fuels simply because weight is the biggest driving factor. People are bigger because of better nutrition? It has little to do with nutrition, in fact people in the 1960s would typically have had far better nutrition due to the lack of processed foods and take away. The more correct term is fatter and the reason is simply too much food. Interesting to note that the Japanese had the widest seats but probably have the slimmest people. Having been brought up in the 60s there was no shortage of junk food and too much sugar, salt, and fat in cooking, so maybe not better nutrition but maybe less disposable income to buy junk food. Wow – time flys – I cannot believe it is 10 years ago the first plane was unveiled – 8th July 2008 to be precise – or 787 in US date format. Top article, thank you. B787 is an amazing plane and while JetStar benefited from it, I am sure that there are many others who would never fly the 3-3-3 configuration that JX uses. I did it once and never again. Also AA 787 business class is better than QF business class in any plane and I recommend it. Oh come on @Brent. Who in their right mind would choose a 787 over a 350? Someone who actually enjoys less room?? Wow that 10 years went quick. Good aircraft but I personally prefer the the A350. @ James are people not allowed to have an opinion. Of course. But these people that think they can tell the difference in a type whilst not on the flight deck are having a laugh. The airline chooses a CABIN CONFIGURATION. Not Boeing or Airbus. No doubt. But do the shape (position, colour maybe) of overhead bins, lights, seat numbers make you say one is “better” than the other? @ James . No and nowhere did I say that. At the end of the day it ones personal opinion hopefully based on their personal experience as to one aircraft being better than the other and not based on assumptions based on seat pitch and seat width. Unless they are pilots or engineers, what are they basing it on? The QANTAS spin doctors would have you believe that they were the first and that they were the first to receive the 787-9 aircraft! Guys, don’t let the facts get in the way of the truth just to make your delayed decision look better. Yes it’s a game changer but so was the 777-300ER which QF never bought. Rhino, I hear that the A350 is not measuring up with regards fuel economy with having those RR engines off the A380! Airbus car salesmen at it again.